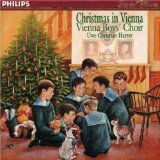 Vienna Boys Choir - "almost angels"
Of all the boys choirs in the world, the most famous is that in Vienna. 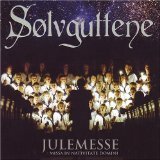 Norway’s boys choir "Sølvguttene" is surely patterned after the famous Vienna Choir. The world’s most beloved choir has been thrilling audiences young and old for over 500 years. Their eagerly anticipated tours play to sell out crowds nationwide! The Vienna Boys Choir is the focus of an upcoming feature film following its rich history and recent tours throughout Asia, Europe, and North America. Don’t miss the opportunity to experience their one-of-a-kind holiday program featuring classic and contemporary Christmas favorites before the film is released. In 1498, more than half a millennium ago, Emperor Maximilian I moved his court and his court musicians from Innsbruck to Vienna. He gave specific instructions that there were to be six boys among his musicians. For want of a foundation charter, historians have settled on 1498 as the official foundation date of the Vienna Hofmusikkapelle and - in consequence - the Vienna Boys Choir. Until 1918, the choir sang exclusively for the imperial court, at mass, at private concerts and functions and on state occasions. Musicians like Heinrich Isaac, Paul Hofhaimer, Heinrich Ignaz Franz Biber, Johann Joseph Fux, Wolfgang Amadeus Mozart, Antonio Caldara, Antonio Salieri and Anton Bruckner worked with the choir. Composers Jacobus Gallus and Franz Schubert, and the conductors Hans Richter, Felix Mottl and Clemens Krauss were themselves choristers. Brothers Joseph and Michael Haydn were members of the choir of St. Stephen’s Cathedral, and sang frequently with the imperial boys’ choir. In 1918, after the breakdown of the Habsburg Empire, the Austrian government took over the court opera (i.e. the opera, its orchestra and the adult singers), but not the choir boys. The Wiener Sängerknaben owe their survival to the initiative of Josef Schnitt, who became Dean of the Imperial Chapel in 1921. Schnitt established the boys’ choir as a private institution: the former court choir boys became the Wiener Sängerknaben (in English: Vienna Boys Choir), the imperial uniform was replaced by the sailor suit, then the height of boys’ fashion. 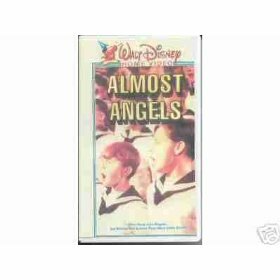 Funding was not enough to pay for the boys’ upkeep, and in 1926 the choir started to give concerts outside of the chapel, performing motets, secular works, and - at the boys’ request – children’s operas. The impact was amazing: Within a year, the choir performed in Berlin (where Erich Kleiber conducted them), Prague and Zurich. Athens and Riga (1928) followed, then Spain, France, Denmark, Norway and Sweden (1929), the United States (1932), Australia (1934) and South America (1936). Together with members of the Vienna Philharmonic Orchestra and the Vienna State Opera Chorus, the Wiener Sängerknaben maintain the tradition of the imperial musicians: as Hofmusikkapelle they provide the music for the Sunday Mass in Vienna’s Imperial Chapel, as they have done since 1498. Gerald Wirth took over as the choir’s artistic director in 2001. The choir’s repertoire includes everything from medieval to contemporary and experimental music. Motets and lieder for boys’ choir form the core of the touring repertoire, as do the choir’s own arrangements of waltzes and polkas by Strauss. Both the choir and the Hofmusikkapelle have a long tradition of commissioning new works. Austrian composers Heinz Kratochwil, hk Gruber (himself a former chorister), Ernst Krenek and Balduin Sulzer have written works for the choir. The Wiener Sängerknaben perform major choral and symphonic works, sometimes as part of the Hofmusikkapelle, sometimes with other orchestras and men’s choirs. They are regularly asked to supply soloists for large choral and orchestral works, such as Bernstein’s Chichester Psalms, Mahler’s Das klagende Lied . In recent years, they have performed with the Vienna Philharmonic Orchestra, the Vienna Symphony Orchestra, the Oslo Philharmonic and the Pittsburgh Symphony Orchestra. Recent guest conductors include Pierre Boulez, Nikolaus Harnoncourt, Mariss Jansons, Zubin Mehta, Riccardo Muti (honorary member of the Hofmusikkapelle), Kent Nagano and Seiji Ozawa. Choristers also take part in opera performances at different opera houses, most notably the Vienna State Opera.